As the saying goes, there can never be too many gluten-free beers. So it's welcome news to hear that the highly regarded Delaware craft brewery Dogfish Head will release its Tweason'ale in bottles in December, according to an interview with founder Sam Calagione. The beer, to be sold in four-packs, will be produced at the Milton, Delaware brewery for national distribution. Dogfish Head intends to pursue gluten-free certification, ensuring that gluten levels will measure less than 10 parts per million. 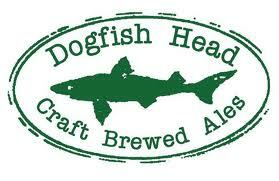 I Tweeted with Dogfish Head a couple of months ago and they also said late fall/early winter. I have my eyes peeled up here in NYC. Let me know if you see it in Philly!